Djelimady Tounkara is only one of the memorable people you will meet in this dramatic narrative of life among the griot musicians of Mali. Born into families where music and the tradition of griot story-telling is a heritage and a privilege, Djelimady and his fellow griots -- both men and women -- live their lives at the intersection of ancient traditions and the modern entertainment industry. During the seven months he spent living and studying with Djelimady, Banning Eyre immersed himself in a world that will fascinate you as it did him. Eyre creates a range of unforgettable portraits. 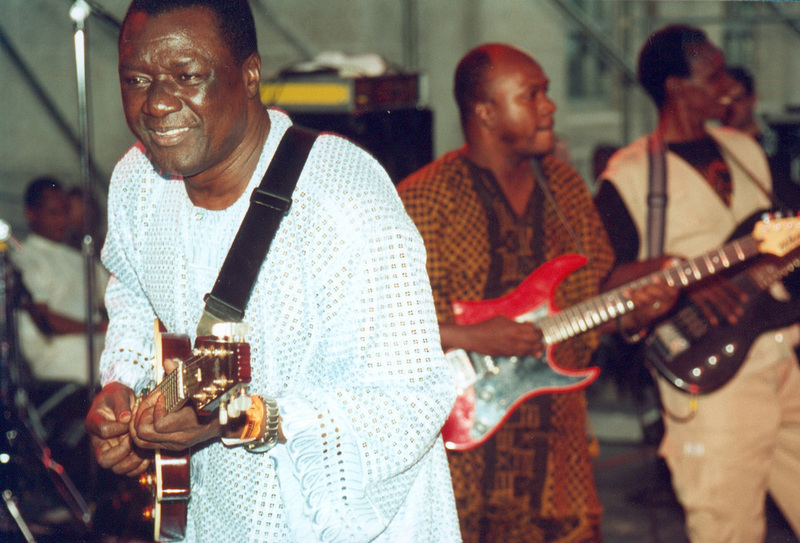 Some of the people who stride through his pages are internationally known, musicians like Salif Keita, Oumou Sangare, and Grammy winner Ali Farka Toure. But the lesser-known characters are equally fascinating: Adama Kouyate, Djelimady's dynamic wife; Moussa Kouyate, the Tounkara family's own griot; Yayi Kanoute, the flamboyant jelimuso (female griot) who failed to take America by storm; Foutanga Babani Sissoko, the mysterious millionaire who rebuilt an entire town and whose patronage is much sought after by the griots of Bamako.But the picture Eyre draws is not just a series of portraits. Out of their interactions comes a perceptive panorama of life in Mali in the late twentieth century. The narrative gives us a street-level view of the transformation of musical taste and social customs, the impact of technology and the pressures of poverty, at a crucial time in Mali's history. In individual after individual, family after family, we see the subtle conflicts of heritage and change. Even the complications of democracy -- with democracy, mango vendors think they can charge anything they want,Djelimady points out -- are woven into an unforgettable saga of one man, his family, his profession, and the world of Malian music. The CD blends Eyre's own recordings from Bamako with exceptional studio work by Mali's top artists, including Salif Keita, Ali Farka Touré, Oumou Sangaré, Toumani Diabaté, Habib Koité, and the Super Rail Band. The CD's nineteen selections---over 75 minutes of music---include eleven previously unreleased tracks. This is Mali as you've never heard it before, a musical portrait of Bamako with its grandiose griots recounting the glories of the past, and its funky, soulful singers and string players pounding out the blues of the moment. The CD is out of print. A burned copy of the music and a xerox copy of the notes will be sent. In Griot Time: String Music from Mali (Stern's Africa) is the companion CD to Banning Eyre's book, In Griot Time: An American Guitarist in Mali. The CD blends Eyre's own recordings from Bamako with exceptional studio work by Mali's top artists, including Salif Keita, Ali Farka Touré, Oumou Sangaré, Toumani Diabaté, Habib Koité, and the Super Rail Band. The CD's nineteen selections---over 75 minutes of music---include eleven previously unreleased tracks. This is Mali as you've never heard it before, a musical portrait of Bamako with its grandiose griots recounting the glories of the past, and its funky, soulful singers and string players pounding out the blues of the moment. ...one of the best can’t-put-it-down roots music reads in recent memory...highly, highly recommended.